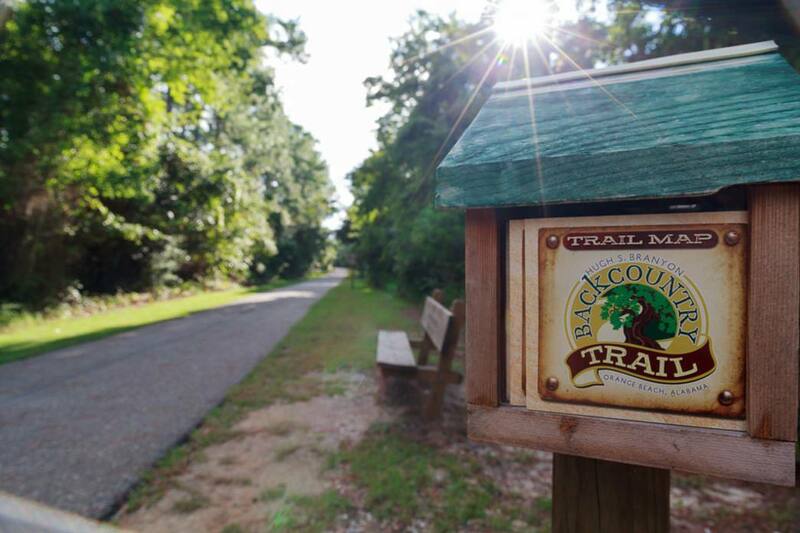 Coyote Crossing Trail runs adjacent to the Gulf State Park offices making it a perfect starting point for newcomers to Alabama Gulf Coast. For the more adventurous, the Fort Morgan Trail connects to Coyote Crossing Trail. A collaborative undertaking by the cities of Gulf Shores, Orange Beach, and the Gulf State Park, Coyote Crossing Trail is the newest addition to the trailing systems of the Alabama Gulf Coast, connecting trails both the western and eastern tips of Pleasure Island. Approximately twenty miles altogether gives visitors access to multiple ecosystems and an array of scenic routes. Coyote Crossing runs parallel to State Park Road 2 and adjacent to the Alabama Gulf Coast Zoo. 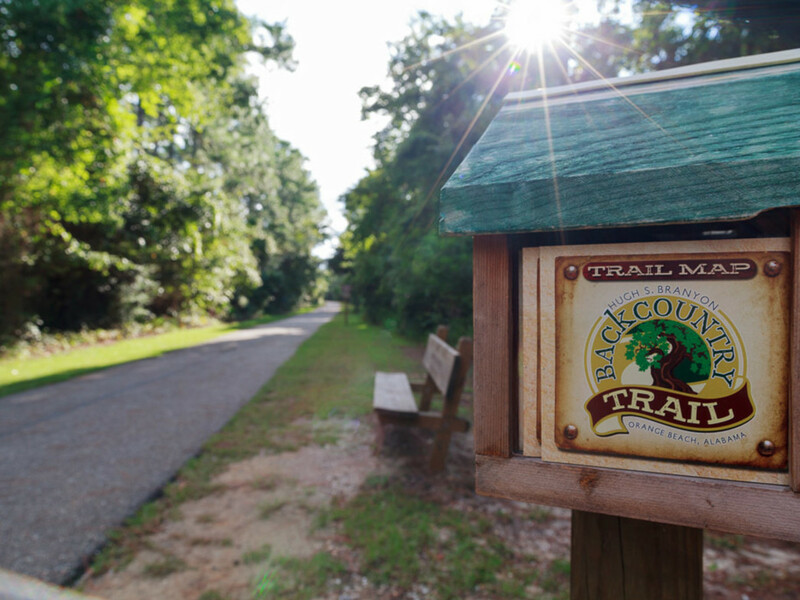 The trail ends across from Walmart and connects with the Fort Morgan Trail at the intersection of Gulf Shores Parkway and AL 180 East Fort Morgan Road. It is named for the wildlife sporadically making an appearance and includes natural habitats while immersing itself through the center of Gulf Shores. Because of the trail’s locality, several shopping centers offer ample parking to those wanting to add to their route. All pets must remain on a leash while in the Hugh S. Branyon Backcountry Trail systems. This is a No Smoking park. Please dispose of litter in provided bins. Do not feed, handle, or harass wildlife. Non-motorized vehicle use only. No camping allowed. There are no fees and the trail is open only during daylight hours. Directions to the Coyote Crossing begins from the intersection of AL 59 South, (or Gulf Shores Parkway), and AL 180 East Fort Morgan Road Trail/Alabama Coastal Connection. Traveling 0.3 miles along AL 180 East Fort Morgan Rd. toward 1st Street, continue onto AL 180 East/Alabama’s Coastal Connection for 0.3 miles. Taking a slight left onto Fort Morgan Rd. for 0.1 mile. Take slight left onto Fort Morgan Rd./State Park Rd. 2 for 1.4 miles. Parking will be to the left.